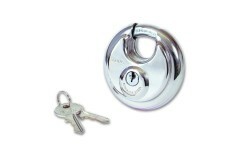 The Discus padlocks are very popular, the shackle turns within the body unlike traditional padlocks where the shackle pops out. This offers extra protection against attack. 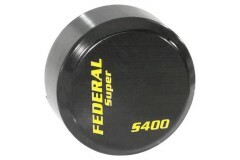 The S400 Federal round shackless padlock has been designed and manufactured by federal. 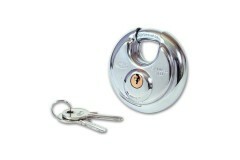 This model h..
ASEC Disc Padlock, closed shackle. 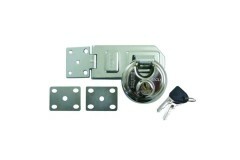 Stainless steel body.Key withdrawal only when locked. 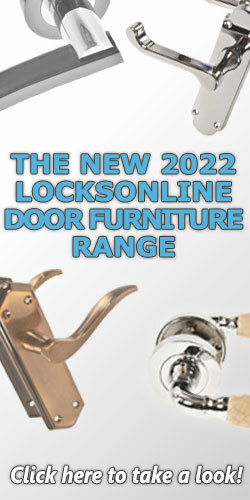 Deadbolt lo.. 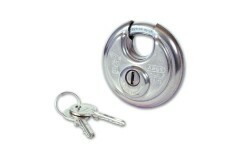 This is the keyed-alike version of the popular ASEC Disc Padlock. These have a stainless steel bod.. 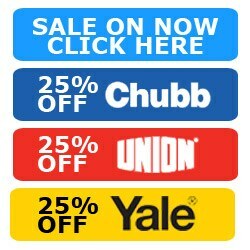 Zone 400 Stainless Steel Discus Padlocks In summary, this is a highly durable padlock that will reta..
Squire DCL1 Discus Padlock Locked and Unlocked, by key. Closed Shackle, Stainless Steel Body, Harde.. 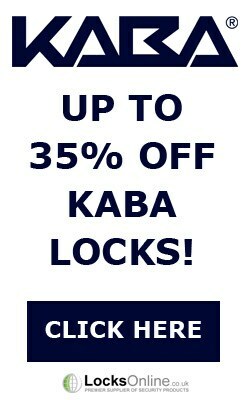 This model of padlock has been designed by ABUS, a German based manufacturer of locking solutions an..